Lá Tanyha Boyd, is living her dream and walking in her calling to empower, and inspire others in“Living in the Now;” the abundant life. Author Lá Tanyha, has traveled around the world via the airwaves as a Transformation Strategist delivering messages to jumpstart your day and vision, all the while infused with Faith, Hope, & Determination leaving you with a mindset of I CAN DO THIS! Challenging others to Take Action to go higher in their careers, fulfill their goals and walk in their purpose. Author Boyd often shares messages that; “Life is all about living and when we can have Spiritual Food, it nourishes us like nothing else.” Penning her first Bestselling book Spiritual Food For Thought: 31 Inspirational Quotes To Jump Start Your Day! Spiritual Food For Thought, is touted to be a soul stirring read as it consists of deeply inspirational messages that offer daily words of empowerment and promote spiritual growth for its readers. The book is immensely thought provoking and takes its readers on an immeasurably inspiring journey towards self discovery while it also challenges them to pursue greatness and positivity in life. Her latest release now a Bestseller is a DIY: People Eat With Their Eyes: How to Create an Effective Book Trailer. 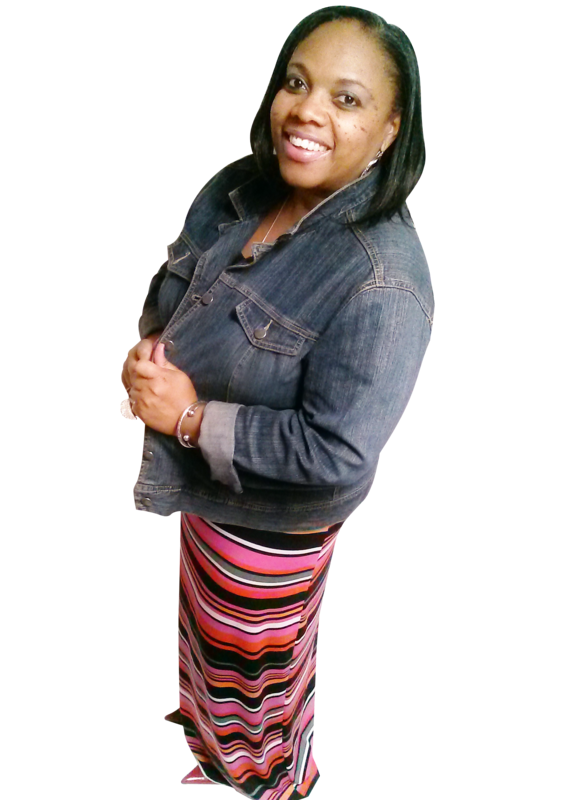 Author Boyd, continues to use the power of the pen with the upcoming release of her first Children’s Christian Fiction Short-Story entitled: “Faith: Learns The Power Of Prayer.” A story about A young girl named Faith, who lived with her grandmother all her life. The family fell on hard times. Unable to care for grandma, Faith’s family sold the house and moved. Now Faith and the Wheeler family have to adjust to new surroundings with God’s help. Answering the call to minister, Missionary Là Tanyha has been working in the vineyard for over ten years, and is a Licensed Missionary. Là Tanyha is a Empowerment Coach and a powerful Inspirational Speaker, facilitator with a heart and fire for God and His people. Là Tanyha, tell us about your latest book? 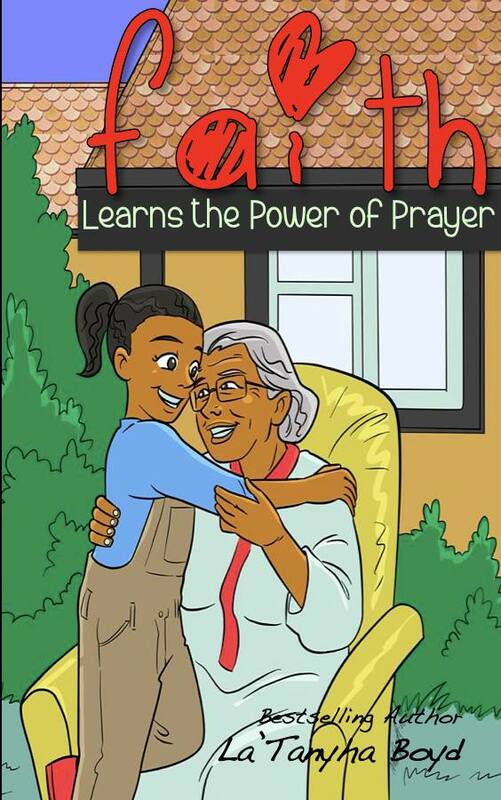 “Faith: Learns The Power Of Prayer” is a Children’s Christian Fiction Short-Story book that emphasizes the importance of putting the Lord in whatever step you take. The book says that there is no where the Lord cannot hear your prayers, it’s all about believing and taking the right actions. This book says faith comes by hearing and hearing of the words of the Lord and most importantly understanding what the Lord is communicating to you. To inspire is to take that fire within from a flicker, to a flame giving you the confidence to progress. All of us need inspiration to drive and move forward in this journey we call life, my personal quest and the various moments of learning during my very own journey in life have been the inspiration for this book, which is extremely dear to my heart. I sincerely pray that my book is able to reach out to the very hearts of my readers and inspire them to take that first step forward to do the things that they have never done before, to live the life they only dreamed of doing and enabling them to fulfill their purpose. During my down time you may find me in the kitchen cooking some down home meals or spending time with family and friends. Having that Granmy-Gram time with my Granddaughter, or you may even find me at the salon pampering myself, or shopping and giving back to myself. It’s so important to have balance and building relationships. There are so many great authors; I enjoy that it’s hard for me to really narrow it down to one: Michele Andrea Bowen, Kimberla Lawson Roby, Bishop T.D. Jakes, and Dr. Maya Angelou are just a few of the authors that I enjoy. The first rewarding for me as a writer is the connection with my reader’s. The second most rewarding is knowing that my work can reach all parts of the world. My good friend and fellow Bestselling Author; LaCricia A ̀ngelle said it best “My books can go where I may not be able to go physically.” To be able to give a word of inspiration of hope, love and faith for others to move and drive forward in this journey of LIFE…Is an awesome feeling. Yes! I would like to leave these words right from my first book “Spiritual Food for Thought: 31 Inspirational Quotes to Jump Start Your Day,” that is this… JUST DO IT!! To move forward, you have to step out the boat. Moving out of complacency and comfort. If you want something you’ve never had you have to do something you’ve never done. Moving out of fear and removing all inhibitions being comfortable in WHO you are and WHO’S you are. Let today be the first steps towards your goals, your calling, your deliverance….ultimately your purpose and destiny. ~The Time is Now…Let’s Get It Done!!! With all that is going on in the world today, people are hungry for words of encouragement and inspiration, and with that said my passion and assignment is to engage, and equip the multitudes and in so doing win souls across the globe through the airways, my writings, and speaking engagements while empowering others to move forward in this journey called LIFE. “Faith: Learns The Power Of Prayer” A story about A young girl named Faith, who lived with her grandmother all her life. The family fell on hard times. Unable to care for grandma, Faith’s family sold the house and moved. Now Faith and the Wheeler family have to adjust to new surroundings with God’s help. If you have read the book, please we do encourage posting book reviews on Amazon.com and other online bookstores. 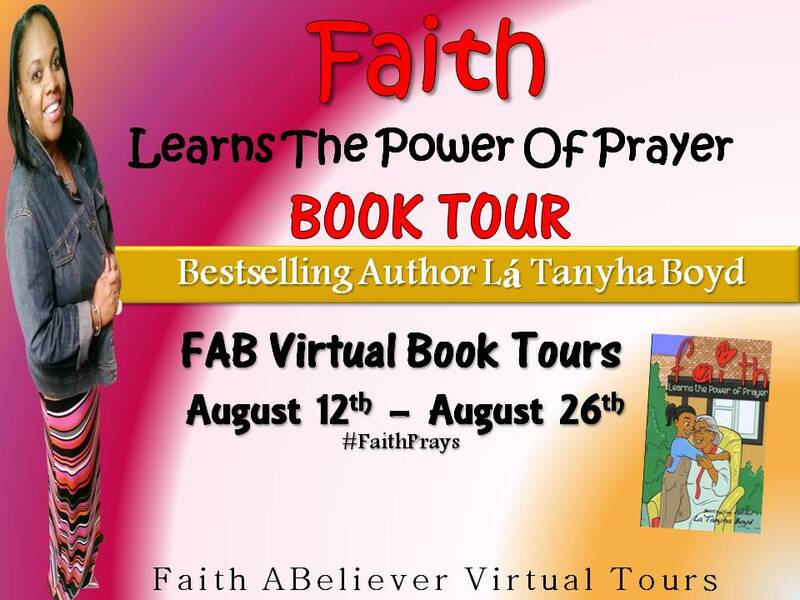 This entry was posted in Uncategorized and tagged #Authors, #BookTour, #FABVTours, #JSYD Jump Start Your Day Blog, Author LaTanyha Boyd, bloggers, blogs, Book recommendations, Childrens Books, Christian Fiction, FAB Virtual Book Tours, Faith Learns The Power Of Prayer, National Bestselling Author, Short-Story. Bookmark the permalink.